Please note that, with the exception of the Sundays clubs, these groups meet during school term-time only. We love to welcome children and young people to our family services held at 10.45 in St Thomas’ and 11.00 at St Luke’s. The first Sunday of each month you and your children can come to church to worship together along with our church family of all ages. All children start in church at 11am service and then leave for a group for under 8s or another for those older. These run each week from September to July and are places where they can enjoy getting to know Jesus better. We meet twice a month on Saturdays from 4-5pm in St Thomas’ school for family fun, including games, crafts, food, worship and a short interactive talk. Please contact Nicola (07725 803722) if you would like to know more. Please see our Saturday FM page for more details. Join us on Wednesday mornings at St Luke’s from 9.30-11 for some messy play with your 0-2s (older siblings welcome). It may look like a mess to us but it’s a wonderful learning experience for little ones! 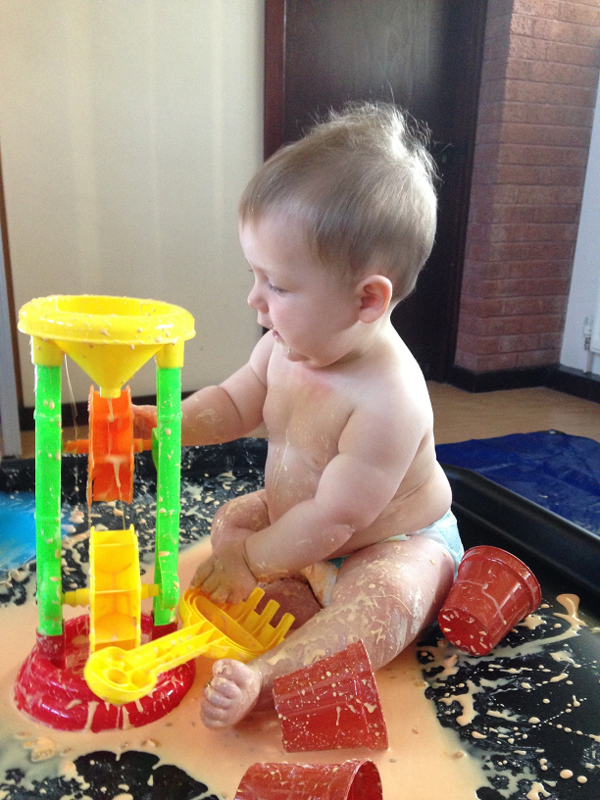 Numbers are limited and so please book via www.facebook.com/messytotsstlukes or by texting 07877 704645.
playing. There is always a bible theme linking a craft activity and a story followed by singing and dancing. Costs £1.50 per family, including drinks and biscuits for both children and adults. This is a fun way to explore the bible through crafts and activities, followed by a short celebration time and a meal together. It’s aimed at primary school age but all are welcome. We just ask that all those under 11 come with an adult. We always have Messy Church on Good Friday from 10.30-noon but you will have to check out our website for other dates! Please see our Messy Church page for more details. A place for young people (11+) to relax after high school 3-4.45pm on Mondays in the church hall. There’s space to chill, or join in with crafts, baking, games (inside and out), table tennis or pool. Our tuck shop is stocked with chocolate, sweets and cans with there is always free juice. Anyone in high school is welcome to come along on a Monday between 5 & 6 at the Sports Hall in Byrchall. Is our club for Years 3-6 from 6-7pm on Mondays in the church hall. This follows on from GYM again with games, crafts, tuck shop and just as much fun! On Friday nights we meet in the church hall for youth club or sometimes we may be out and about. Please check the church calendar or notices to find out what’s happening on a particular week! 11-18 year olds can get to grips with their faith on a Sunday night at the vicarage.. High school age meet on Sundays from 6.30-7.30pm with those college age and over from 7.30-8.30pm . On the fourth Sunday we join with other churches at St Thomas’ for a youth service from 6.30-7.30pm. If you want to know anymore about these groups then please contact Sue Thomas on 01942 727275 or 07877 704645.